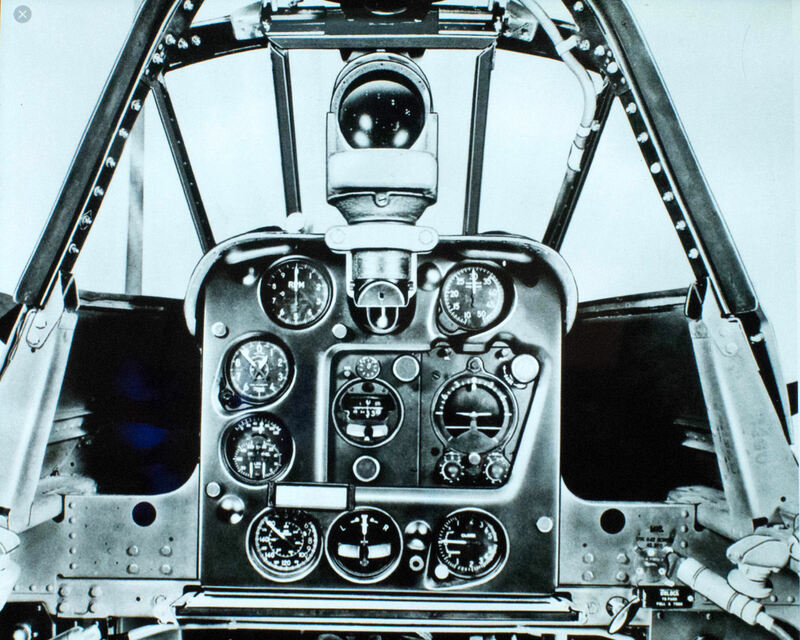 Over the last few years, Detail and Scale made the transition to digital publishing by releasing new titles including the F-14 Tomcat Part 1, F9F-8 Cougar, and F3H Demon. While it is always nice to see new material that is accessible at my fingertips, I kept hoping that Bert Kinzey and Rock Roszak would dust off some of their older 'analog' works and bring them up-to-date. Patience has paid off this this first 'new' release out of the analog archives. 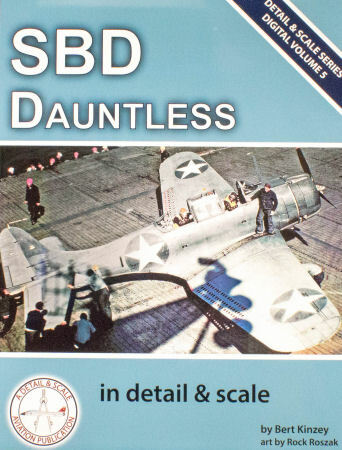 This is the SBD Dauntless in Detail and Scale and for the most part, the textual content remains as it did when first published. What is significant with bringing these older titles into the digital age is that many of the original images were in color and due to costs of publishing in the day (my arteries just hardened with that phrase), the majority of images were published in black and white. Even so, when my eyesight was better, I was still squinting to make out details in these printed images. 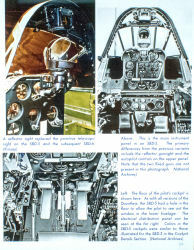 With digital publishing, the color images remain in color and the images can be expanded out to their original size (you can zoom in to see those details). What does digital publishing mean to you? Here's a good example from my past modeling days. The image on the left is the typical format of the 'analog' book with good captions to describe what you're seeing. 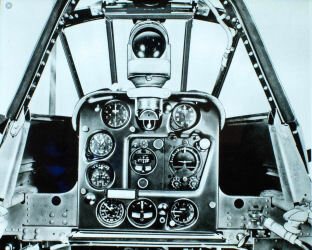 With the digital volume, I can now tap on the cockpit image and zoom in as far as I can go (right side) and I can clearly read the instruments. Nice. As I said above, most of the material is from the original publication, but not all of it. 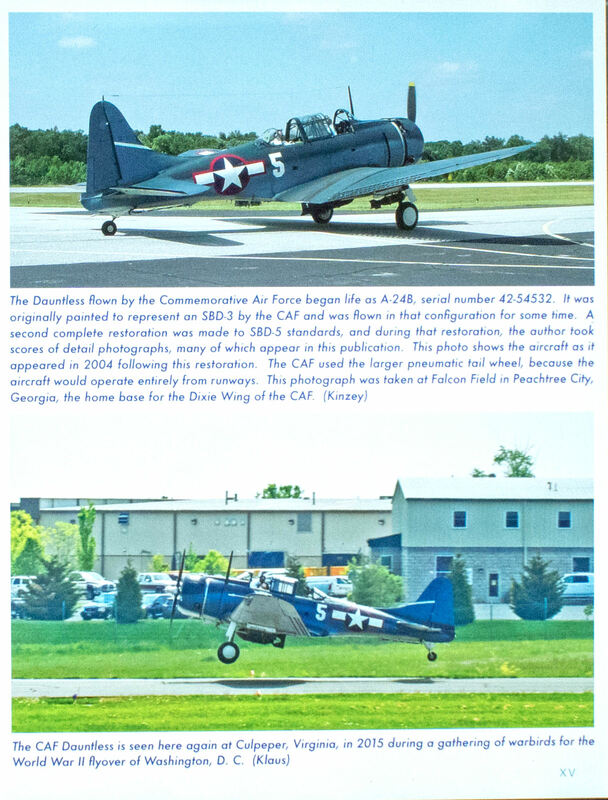 They've brought it up to date with some images of the CAF Dauntless with images from an airshow in 2004 and the special WWII Flyover of DC in 2014. 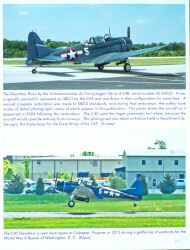 Rock Roszak has provided a nice range of color profiles which are new, and what is a Detail and Scale without the Modelers Section which has also been brought up to date with the latest kits and aftermarket items since the title's first release.